Welcome to Mondays with Mele. 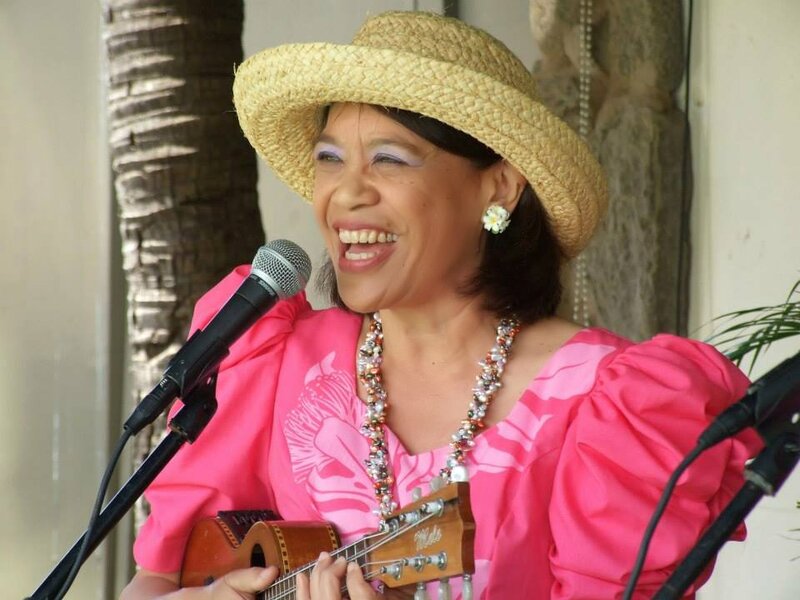 Return weekly to my blog to connect with a ‘ukulele teacher of Hawaiian ancestry who lives in Hawai’i. I grew up singing, dancing hula, and playing Hawaiian music with family and friends in urban Oahu and with my grandparents in rural Maui. I developed my unique method of teaching ‘ukulele based on 50+ years of playing the instrument and entertaining worldwide, and I want to share my method with you. Learn the story behind Ukulele Mele. See Mele’s memories of growing up in Hawaii. Read a newspaper feature article about Mele. After college and working on the mainland for 27 years, we returned home to Maui in 2000. My husband, Richard B.C. 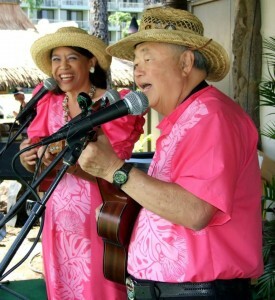 Tom and I perform as the professional duo The Hawaiian Serenaders. Our best gig was representing the State of Hawaii in concert at the John F. Kennedy Center for the Performing Arts in Washington, D.C. in 1996. We invite you to join our worldwide ‘ukulele ‘ohana (family) and have fun learning to play the Ukulele Mele Way. Aloha, Mele Fong aka Ukulele Mele. Purchased a new ‘ukulele? New instrument owners start here.